The latest production from Lawrence Sullivan’s Legends Playing Card Co (LPCC) is an exquisitely crafted poker-style deck in which vintage playing card artwork has been given a 21st century makeover resulting in a classically ornate look with modern elegance. 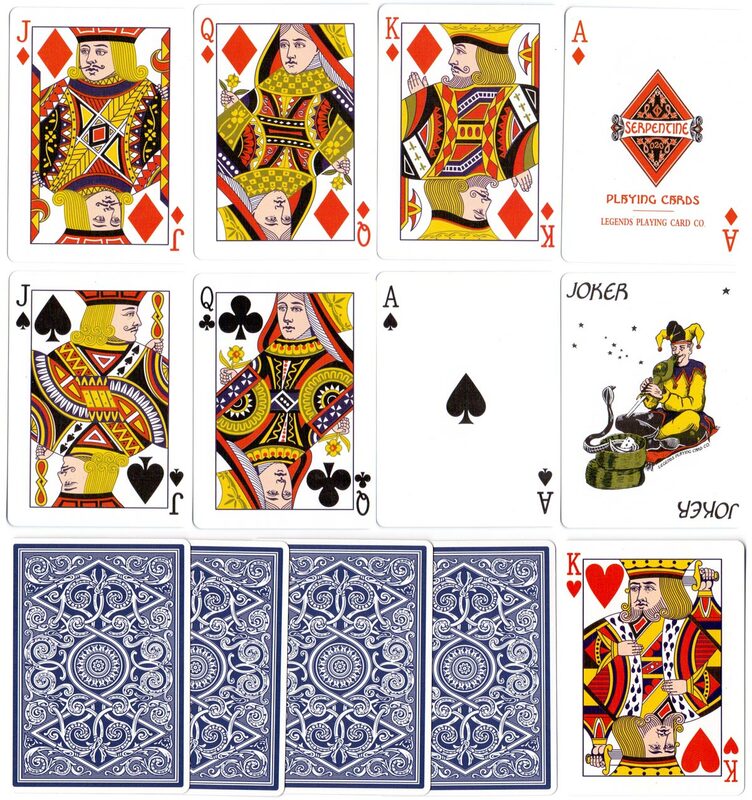 The deck also includes new pips and a custom Ace and Joker illustrated by Stuart Palm. The cards are a showcase of cutting-edge manufacturing technology from a new factory somewhere in Asia. 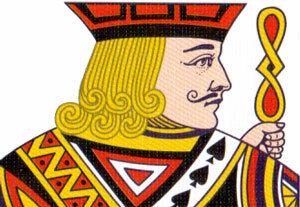 The court card designs chosen are attractively patterned with very precise printing registration. The box is tasteful in a classic style with embossing and subtle colour schemes, giving a pleasing retro feel. The backs are a crisp and sophisticated reworking of the classic artwork. And above all the deck handles ultra-smoothly thanks to the ‘Emerald Finish’. 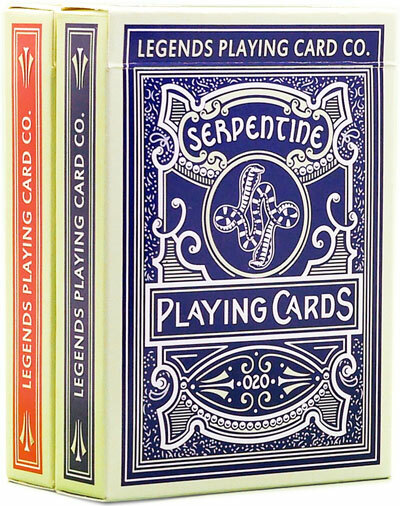 Above: ‘Serpentine’ poker size playing cards published by Legends Playing Card Co (LPCC), 2014. 52 cards + 2 Jokers in tuck box. Cards courtesy Legends Playing Card Company.